Select from studio, one, two, or three-bedroom layouts with skyline views, granite counters, hardwood flooring and private balconies in most homes. Enjoy easy access to Hubbard Street nightlife, Restaurant Row on Randolph Street and the pink, green, brown, blue, orange and purple L lines. Relax by one of the many on-site amenities, like our sundeck complete with gas grills, lounge chairs and a fire pit. Experience condominium-style space and location, with the convenience of luxury apartment living at Left Bank. 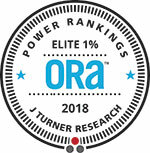 We're proud to announce in 2018 Left Bank placed in the ORA top 1% in the country, determined by customer ratings and reviews.